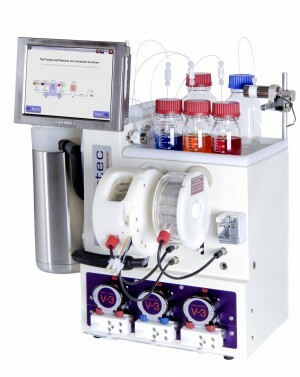 Continuous-flow processing approaches are having a significant impact on the way we devise and perform chemical synthesis. 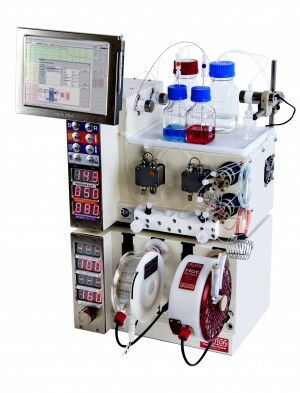 Flow chemistry has repeatedly demonstrated numerous improvements with respect to synthesis efficiency, process safety and ease of reaction scale-up. In recent years flow chemistry has been applied with remarkable success to the generation of valuable target structures across a range of industries from basic bulk chemical manufacture and materials development to flavours, food and cosmetic applications. However, due to its earlier implementation, it has found so far many more advocates in areas of medicinal and agrochemical research and manufacture. In this review article, we summarise the key developments that continuous-flow synthesis has had in the area of saturated heterocycles, specifically focusing on approaches that generate these important entities from acyclic precursors.